On Monday 8th October 2018, the UN Intergovernmental Panel on Climate Change (UNIPCCC) released a report warning that we only have 12 years to limit global warming to 1.5°C. Climate change is not a problem that will happen in the future. It is happening now and it is very real. We need to take action! There are all sorts of things we can do on our own to help reduce global warming but without strong, collaborative, climate-driven leadership we will fail to achieve this target. To add to this problem, we are missing some of the voices that are vital to solving these issues. The voices of women. essential for a successful project. Greater diversity can lead to increased productivity, greater innovation and better decision making. (Morgan Stanley, 2017). Homeward Bound has assigned itself the task of training 1000 women in leadership and planet stewardship over 10 years. Each cohort of women begins with a year of global, online leadership training and then takes this training to the limit by heading to the end of the world - Antarctica. On this voyage they will forge alliances, hone their leadership skills and learn crucial science about climate change. They will be supported by top scientists, leadership experts and each other to become the climate-motivated, collaborative leadership that we need. They will bring with them all those advantages of gender balance. Homeward Bound is helping to build the leadership of tomorrow that is essential to us hitting that 1.5°C target. This journey has already begun for the first 232 women and by donating you will be helping one more person to join them: me. Starting in November 2018, I will begin the online training, supported by the Homeward Bound faculty and 94 other women from around the world. On Tuesday 19th November 2019 I will arrive in Argentina for 2 days of training before heading across the Drake Passage to Antarctica for 3 weeks. Antarctica is isolated, providing space and time for introspection away from the busyness of everyday life and our regular networks. Antarctica is experiencing some of the greatest warming on Earth and is central to our understanding of the global impacts of climate change. Antarctica is a beautiful and inspiring landscape and will spur us on to try harder than ever to challenge climate change. Living on a boat in Antarctica for 3 weeks will provide an extreme environment with real challenges that will test and consolidate the leadership and collaborative skills we learn. As a science educator I have the skills and expertise to engage young people. The opinions and voices of these young people are vital in both protecting our planet and in tackling gender inequalities. Policies and decisions that are made now will directly affect their lives, their future and their planet. If we want to build a strong world population who are able to take up the mantle from others then we need their engagement and their opinion - not just to merely educate them. As a passionate and engaging speaker and educator, I love science communication and science education and I care deeply about the way science is represented in schools. I am also acutely aware that in the UK, school education is pretty much the one chance you get to communicate to the whole population. I want to use that opportunity to promote gender equality, to build the next generation of leaders, and ultimately protect our planet. I care very much about what leadership needs to be. Leadership requires experience and education which the Homeward Bound project offers in abundance. Good leadership demands compassion and empathy in order to understand the motivations of others, even if we disagree with them or dislike what they do. Leaders must try to understand how their actions might affect the lives of others. And a leader needs to have the courage and compassion to take action, to do what they believe is right, as well as the humility and strength to admit when they are wrong. This is the type of leader I would like to become and the type of leadership I would like to inspire. Leadership training is not cheap. Travelling to Antarctica is not cheap. Fortunately Homeward Bound are supported by sponsors who subsidise almost half of every woman's fees but in order to be part of this important work we need to fund the rest ourselves. This means that I need to raise £10000. The women of Homeward Bound are not prepared to wait for someone else to do something. We want to represent women in science. We want to make an impact in tackling climate change. We want to do that now. I will be learning leadership skills, strategic planning, climate science and visibility techniques from global frontrunners. I am excited to have my ideas challenged and my perspectives changed by both the course leaders and other participants. I am excited to make that impact. Help that dream become a reality. Also, take a look at the perks you can get for donating! Support me on a once-in-a-lifetime journey to the end of the Earth. Support the development of a 1000-strong leadership network of women in STEMM* who are focused on saving our planet. You will receive a personal message of thanks. Est. Delivery Date: Soon after you donate! You will receive a personal message of thanks in short video form. Lucky you! Get the news hot off the press when I get back to the UK. You’ll be the first to hear about the Antarctic expedition experience (and see a couple of photos). I’ll take a picture of your name in an Antarctic landscape. Perfect for a Facebook or Twitter cover photo. £30 P-p-p-pick up a penguin! 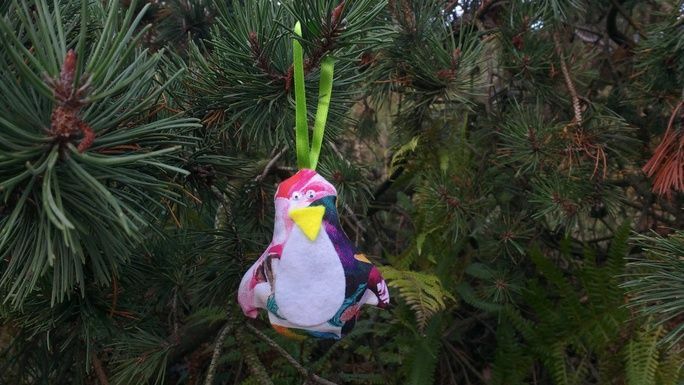 Get your chilly hands on a penguin Christmas tree decoration, designed and hand-made by yours truly. Colour not guaranteed as they're made from fabric remnants from other things I have made. Est. Delivery Date: Delivered in time for Christmas 2019. £30 Whale, what have we got here? Not into penguins? No worries, there are whales too! Designed and hand-made by me. Perfect for your Christmas tree or just to hang up anywhere. Again, colour not guaranteed. A postcard from the southernmost Post Office in the world. Will it get to you before I get back? Who knows? Can be sent to you personally or to someone else or a group such as a school class, Scout troop or Brownie pack. Est. Delivery Date: Early 2020?! £55 P-p-p-pick up two penguins! A bird in the hand is worth two in the bush. Get two birds in your hand for a slightly lower donation than getting them individually. Give one as a gift or keep both for yourself. £55 Whale, whale, what have we got here? Two whales for donating slightly less than donating for two individual whales. 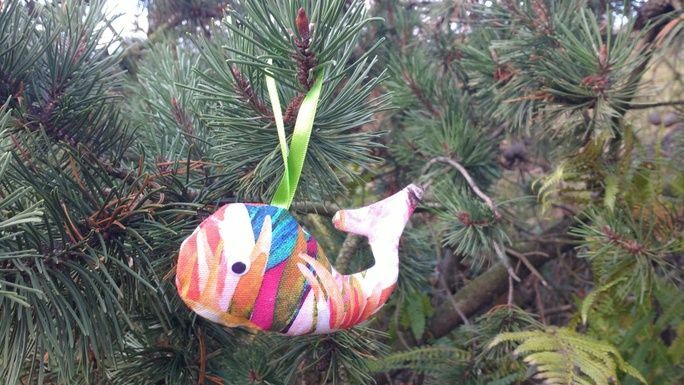 Have a whale of a time with both or give one away - it will be whale-received! * *This is the last of the whale puns. Can't decide on a penguin decoration or a whale decoration? Get both! Something for now and something for later. A penguin or whale decoration this year and a postcard from Antarctica in a year or so's time. Est. Delivery Date: Decoration delivered in time for Christmas 2019. Postcard: early 2020?! A unique set of 20 any-occasion greetings cards featuring some of the sights I see on the expedition. Donate £250 to force me to get in the sea. I will swim in the icy waters of the Antarctic Ocean at your behest. Video or photo evidence will be provided. Donating £500 gets you a presentation about my Homeward Bound experience covering both women in STEMM and Leadership and climate issues, targeted towards your audience. Please contact me at [email protected] if you have any questions. UK only! Est. Delivery Date: Please contact me to discuss dates. * £4,282 in offline donations included in total.